A felony conviction generally results in the loss of a number of valuable rights: the right to vote, the right to sit on a jury, and the right to bear firearms. If a person is found in possession of a firearm after being convicted of a felony, they may be subject to federal prosecution for being a Felon in Possession of a Firearm. Under 18 USC 922(g), it is illegal for a person with a felony conviction to carry or possess a gun of any kind. This offense is sometimes referred to as a Felon in Possession of a Firearm (FPF) charge. They are also called felony gun cases. Possession of gun suppressors (“silencers”) and other explosive materials are also proscribed under the same section. The purpose and aim of this statute is fairly clear. Congress, as well as the United States Sentencing Commission, believes that felons have a lower capacity to use guns responsibly and their possession of guns represents a heightened threat to public safety. This statute is used often in federal courts. 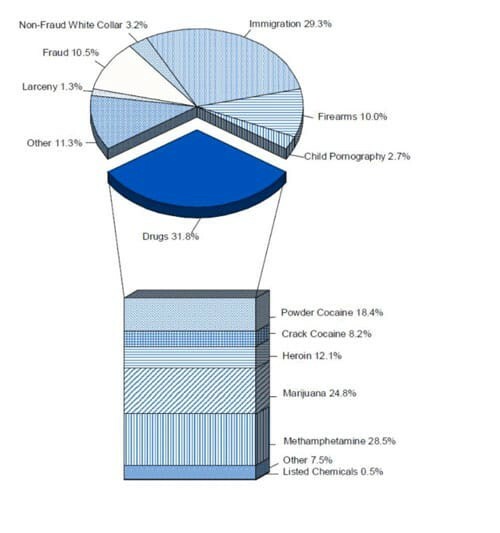 In fact, 10 percent of federal sentences handed out 2015 were firearms offenses. What qualifies as a felony is a function of the maximum sentence allowable for a particular offense. Any offense that carries more than one year of potential incarceration, regardless of whether it’s a state or federal crime, qualifies as a felony for FPF cases. For example, in Texas burglary of a building is a state jail offense that carries imprisonment of up to 2 years in a state jail facility. Since it is classified in Texas as a felony and carries a potential of more than one-year imprisonment, this offense would qualify as an underlying felony for an FPF case. Alternatively, many states outlaw making terroristic threats which are threats of serious harm without an accompanying weapon being present while the threat is made. In many states these crimes, because no weapon is present, are treated as misdemeanors. They oftentimes don’t carry a year imprisonment range and are not considered felonies in their state of prosecution. A conviction for this type of offense would not qualify as an underlying conviction for an FPF case. Another term used instead of underlying felony in FPF cases is ‘predicate felony.’ It should be noted that 922(g) does not require a particular state to characterize an offense as a felony for that offense to be a viable predicate in FPF cases. However, most states reserve the term felony for offenses that carry a potential of more than one-year imprisonment, just as federal law does. Section 922(g) does not only outlaw possession of firearms by felons but also proscribes gun possession by persons addicted to controlled substances, persons confined to a mental institution, persons illegally in the United States, persons who have renounced citizenship, persons subject to a protective or restraining order for threats or acts of family violence, and persons who have been convicted in any court of a misdemeanor relating to domestic violence. Felon in Possession of a Firearm cases hinge on whether the predicate felony in fact constitutes a legitimate basis for an FPF case. They also hinge on whether the Government can actually link the accused to the weapon. 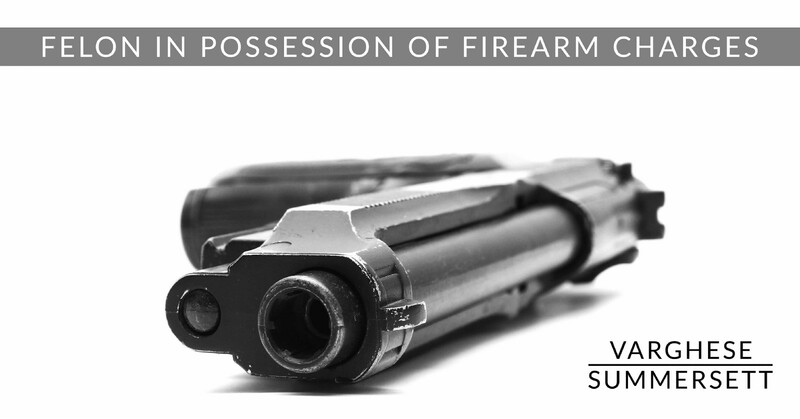 In other words, the extent and manner of the ‘possession’ of a given firearm is a critical factor in these cases. Attorneys representing persons accused of these crimes need to thoroughly examine offense reports made by federal agents as well as whether the guns purported to be possessed by accused persons were identified and/or seized legally. Attorneys also need to discuss the case facts extensively with their clients as offense reports and case discovery records are not always accurate. It is also important to examine whether an accused’s criminal background subjects them to more severe penalty ranges. Typically, FPS offenses are viable for prosecutors with the presence of only one felony conviction. However, it also critically important to understand that some offenders can be characterized as Armed Career Criminals. That is if a person has multiple convictions for burglary, violent, or drug-related crimes, that person may face a higher mandatory sentence and a higher range of punishment. The Armed Career Criminal Act (“ACCA”) codified under 18 USC 924(e) sets out that persons with 3 separate convictions for ‘violent felonies’ and ‘serious drug offenses’ face a minimum 15 years imprisonment. The applicable guideline is found under Section 2K2.1 of the United States Sentencing Guidelines. The number of firearms possessed and extent of criminal history are usually the largest drivers of the guideline calculation. Other factors that drive federal sentences for FPF cases relate to whether the possession was related to the trafficking of firearms and whether the firearm is capable of accepting a magazine with a large capacity. Originally published at Fort Worth Criminal Defense Attorneys, DWI Lawyers, Sexual Assault and Federal Criminal Defense Lawyers | Varghese Summersett PLLC.